Select this deal to pay 100% of your accommodation up front # NONE REFUNDABLE BOOKING # and receive a 10% discount prices below. Special Dates and Event Weekends are excluded from this deal. Discounts will appear on payment screen. Select this deal to pay 100% of your accommodation up front and receive a 7.5% discount. NOTE: Special Dates and Event Weekends are excluded from this deal. Discounts off prices below will appear on the payment screen. Select this deal to pay 50% of your accommodation up front and receive a 5% discount on your accommodation. Thanks for choosing the deal for your Super Gold Card. Enjoy a $10 discount off all room rates. Make sure you have your card to present on arrival. Discount will appear when you get to payment screen. 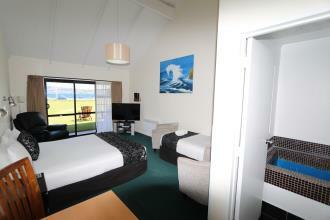 Thanks for returning to Chelmswood Motel, please enjoy 7.5% Discount off this booking. When you get to payment Screen the discount will come off the prices below and your Credit card will be verified but payment will not be required until you arrive. "REMEMBER WHEN" a special break to enjoy is just being "A Couple"
$180 Voucher for Dinner at Waterside Restaurant, Continental Breakfast for 2 Daily, Free Wifi and Morning Paper,LakeView room with Mineral Pool and BBQ Area.Heated outdoor pool, Free use of Bikes, Free Guest laundry. Wine and Cheese board delivered to room on last evening.